Ulrich S. Leupold (1909-1970) was a professor and Dean at Waterloo Lutheran Seminary in Waterloo, Ontario. He obtained his PhD in musicology from the University of Berlin in 1932. 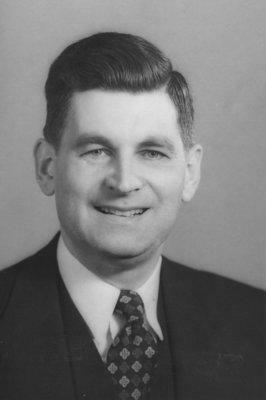 He was ordained by the Canada Synod in 1939 and served as a pastor until 1945. He was appointed Principal in 1969. He authored, arranged, and composed numerous works. Wilfrid Laurier University's Leupold Residence is named in his honour. The fonds was acquired from the Leupold family after 1970. The fonds consists of lecture notes, publications, minutes, correspondence and University related material composed and compiled by Ulrich S. Leupold. Fonds is arranged in the following series: Research notes; Publications; Topical; Organizations/Commissions; Waterloo Lutheran University and Seminary.